Copts are suffering a new wave of Islamic violence. (Cairo) on Monday, July 4, a Coptic Christian was stabbed in Tanta (Gharbia Governorate) by Islamists and then beheaded. The 33-year-old pharmacist and Coptic Christian, Magdy Attia, was lured with a medication order into a house and killed there. According to Egyptian media reports, the house is inhabited by Salafists. Witnesses said they had seen Magdy Attila half an hour with two men outside the building in a lively discussion. Other witnesses reported cries for help, which came out of the house. The body of the Coptic Christian was found with nine stab wounds and beheaded. Video surveillance cameras were recorded two men covered with blood who left the house. They were identified and arrested by the police. The police did not have any further details about the background of the event. The arrested men are Muslims. Egypt is currently beset by a new wave of anti-Christian violence. On Tuesday, a Coptic Orthodox nun was killed. According to police, it had been a "tragic accident". She had been killed by an "stray bullet". A few days earlier the Coptic priest, Raphael Moussa, was killed on the Sinai Peninsula. The attack was acknowledged by the jihadist militia known as the Islamic State (IS). The city Tanta in the Nile Delta is located approximately halfway between Cairo and Alexandria and has approximately 450,000 inhabitants. Coptic Nun Killed -- Local Police Say "Stray Bullet"
Coptic Christians continue to suffer Islamic persecution. 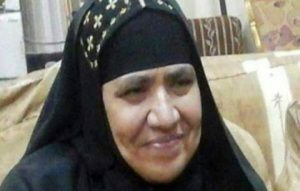 (Cairo) Yesterday, July 5, a Coptic nun was shot dead in Egypt. The police called it a "tragic accident". It currently not being treated as a crime. The nun was accidentally caught in a shootout between two rival clans. An stray bullet killed the nun, says Fides . The Orthodox nun Athanasia was, along with two sisters and a driver, on the way back from Cairo in the monastery Mar Girgis in Alexandria. In al-Khatatba, a bullet suddenly struck one of the Women Religious in the vehicle. Sister Athanasia was killed on the spot. The first reports reported an anti-Christian attack.The investigating police of Guizeh denied this, however, describing the shooting between two local Muslim clans as the reason for the "accidental" death of the nun. 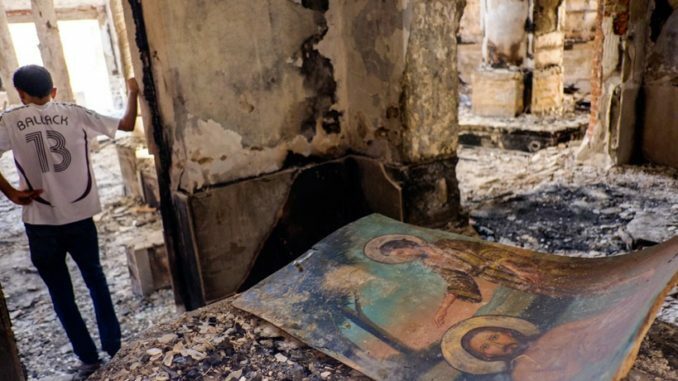 On June 24, several Christian homes had been burned in al-Baeda in Alexandria. A Muslim mob had gathered after Friday prayers in front of the house of Christian Naim Aziz because the false rumor was spread among Muslims, that the house may be converted into a church. The Muslims shouted the slogan: "Under no circumstances will there be a church here." To be sure, deeds followed their words, and and they burned down the house of a Christian and a few other Christian homes for good measure. The Church of the Christians of al-Baeda, is located six kilometers in the neighboring town. The Christians of Egypt have been experiencing a new wave of Islamic violence for months. Last Thursday a Coptic Orthodox priest was murdered on the Sinai Peninsula belonging to Egypt. The priest Raphael Moussa was 46 years old. After the Holy Mass, which he celebrated in the Mar Girgis Church of the city of El-Arish in the north of the peninsula, he was killed in the parking lot in front of the church by a targeted shot. The murder was claimed by the terrorist militia Islamic State (IS). El-Arish is located on the Mediterranean coast, with nearly 150,000 inhabitants, it is the largest city in the Sinai. The city, is where in 1118, Baduin I., the first king of Jerusalem, died during Crusader period, and was besieged and occupied in 1799 by Napoleon, and made the headlines recently because of organ trafficking. Bedouin tribes kidnap African migrants and remove their organs, which are sold to hospitals. This has been confirmed by the German government. Egypt's Most Famous Convert Imprisoned Again -- Because of "Proselytism"
(Cairo) Bishoy Armiya is the most famous Egyptian convert. On 4 December, the Christian was again arrested by the Egyptian police. Before his conversion he was called Mohamed Hegazy and was a Muslim. After he had converted to Jesus Christ, Bishoy Armiya was desperate to avoid the current practice that conversions of Muslims to Christianity are not recognized officially in Egypt. Other converts become Christians, but do so outside of constraints by the authorities. Armiya however, began a protracted battle in order to be officially accepted that he is not Muslim, but Christian. Specifically, he demanded that his religion is changed in his identity card. For this he was arrested in 2010. The charge was "proselytizing". In police custody Bischoy Armiya was severely maltreated. Through torture, the police tried to force him to return to Islam. Several fatwas were imposed against Christians, in which he was condemned to death as a "renegade". Armiya was forced to move several times for safety with his family. On Wednesday, Egypt's best-known convert was arrested again. The charge is again "proselytism". This time, however, Armiya is accused of persuading other Muslims to apostasy from Islam and to have them converted to Christianity. The news portal Al-Ahram reports, in the port city of Alexandria, the participants of a protest march of the Muslim Brotherhood were stopped, as the demonstrators advanced upon a Coptic church. According to reports he following: “With our souls and our blood we sacrifice ourselves for our Coptic brothers” and “We are all Egyptians -- Millions against the Muslim Brotherhood”. Alipius suggests that more churches would have burned had not Egyptians, and as other reports have it, the Egyptian Army itself, stepped in and tried to stop it. According to the above referenced reports hundreds of Egyptians have perished in the violence. So much for the “Arab Spring”. We predicted an Arab Revolt long before this happened, when the various media organs were rhapsodizing about the wonders of Democracy. And the atrocities continue, link. Egypt: there is no concern or relief for the indigenous people of Egypt in the face of continued US-backed support for Muslim Brotherhood in the region. Cairo (AsiaNews / Agencies) - The Egyptian Coptic community faces a new escalation of attacks by Islamists. On 17 May, two churches were attacked with Molotov cocktails in the district of Dakhela, west of Alexandria, Egypt, and Menpal in Upper Egypt. 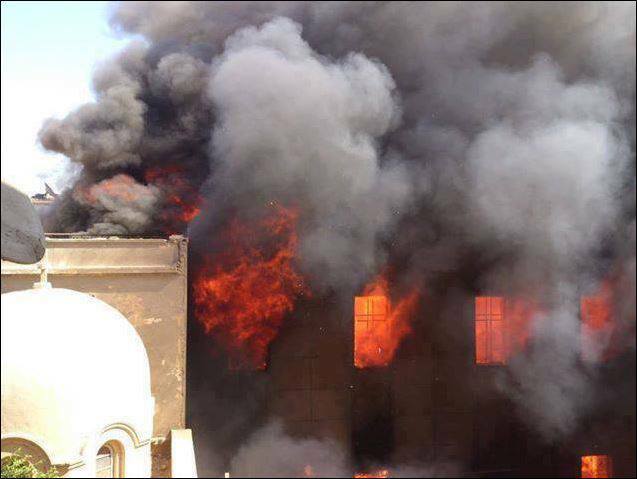 In Alexandria over 20 thousand Muslims attacked the church of St. Mary setting fire to the entrance of the building and shattering windows. A man died of a heart attack in the attack. In response to the violence, hundreds of Copts left their homes to create a human wall around the building. According to witnesses some Islamists armed with pistols and knives fired on the crowd, causing some injuries. At the origin of the clashes is a dispute between two neighbors. Basem Ramzy Michael, a Coptic Christian, is reported to have behaved inappropriately towards the sister of Alloshy Hamada, a Muslim with a criminal record. In a short time the dispute between the two erupted into a sectarian clash. A similar incident occurred last May 13, in the village of Menbal, Matay district, north of the province of Minya, where a Muslim mob stormed the church called the Tadros el-Mashreki and assaulted one person inside. The assailants threw stones at the building, looted Christian shops nearby and burned cars. The Coptic minority has been threatened with expulsion from the village. Once again the violence was sparked by a trivial quarrel between two young people. 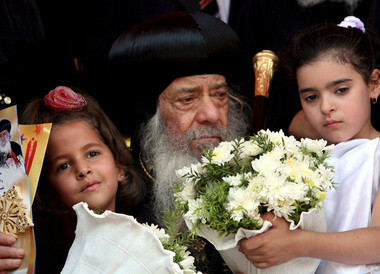 Some young Muslims are reported to have made advances to a group of Coptic girls, as they entered the church. Irritated at having been ignored the group waited for the young Christian girls to leave the Church and threw bags filled with urine at them. The young people were rescued by some Christians peers who have started a heated argument with Muslims. As in other cases, the news spread across the village. In a short time a crowd of Islamists rallied in front of the church, forcing young people to take refuge inside. Ehab Ramzy, a Coptic Christian, prosecutor in the province and former member of parliament, said Menbal has a Muslim majority, while Manshiet Menbal, 10 kilometers away, has Coptic majority. "The Christians of the two villages - he explains - have nothing to do with the fight that took place in Manshiet Menbal. The young people were attacked just because they are Christian." Two young Muslim men were arrested by police in Menbal. In the coming days there will be a reconciliation meeting between the two communities. "Now - he adds - the security forces are trying to arrest some young Copts. They have become a bargaining chip to seek reconciliation." AsiaNews sources underline that the attacks against the Coptic community are now a daily occurrence and are being ignored by the police, who because of the climate of chaos, let communities resolve disputes among themselves, although this can result in dead or wounded. The most serious incident took place on April 7 in front of the Cathedral of St. Mark in Cairo, where a group of Islamists attacked funerals of four Christians killed in sectarian clashes that took place on April 5 in the district of Khosous, on the outskirts of the capital, with stones and Molotov cocktails. The assault, which took place before the eyes of the police, left two dead and over 80 injured. A church building caught fire. In Egypt, the Coptic Christian minority has elected a new Pope. At a Liturgy in the Markus Cathedral of Cairo, Bishop Tawadros per Los was elected as the 118th church head. Odds on the office have favored Bishop Raphael from the capital of Cairo and Tawadros from Beheria in the Nile Delta as well as the Monk Raphael Awa Mina. A small boy, blindfolded, drew the name out of a glass bowl with the new Pope's name on it, which was sealed in red wax. Thus the Copts considered this also as "God's Will". There were three candidates for the election. The 60 year old from the Nile Delta will be solemnly installed on the 18th of November. He follows in the footsteps of Pope Shenuda III after 40 years at the head of the largest Christian community in the Middle East. The Copts make up about 10 percent of the 83 million Egyptians, of which the largest part are Sunni Muslims. This also makes the Copts the largest Christian community in the Near East. At present they are concerned about the impending Islamization of Egypt. There are increasingly violent conflicts between the Copts and the Muslim majority. Edit: if someone in the government told you that they "couldn't guarantee your safety" as the Egyptian Parliament told a Coptic family near Alexandria, it sure would look like a threat. Considering he heavy handed treatment of Copts in Egypt before and since the Arab Spring, it looks like this treatment will continue. Riot in the village of Meet Bashar, northeast of Cairo is inflamed in a conflict over conversion. Cairo (kath.net/KAP) 2,000 Salafists have attached the Coptic Church of the Egyptian Village of Meet BAshar and burned down the rectory. Also the residences and autos of Coptic Christians from the village, some 50 km northeasterly of Cairo were destroyed. The peace was only brought back with a massive police presence; otherwise the functionarites from the inspirational Party "Justice and Freedom" came to the village and persuaded the Salafists that it ould be better if they disappear from Meet Bashar. The Salafist riots began on Sunday, 12 February. The cause -- as so often in similar cases -- a conflict surrounding conversion. In Meet Bashar it involved 14 year old Rania Khalil. Her Coptic father was converted some days earlier to Mohamedism. On the 12th of February, the girl disappeared. Salfaisten have come to insist that the Christians had abducted the girl from the village, in order to prevent her conversion to Mohamedism. Rania Khalil has been discovered in the mean time and is presently being questioned by the authorities. (Cairo) The Synod of the Coptic-Catholic Church of Egypt elected a representative in the past few days with complete authority to decide for Coptic Catholics. The decision became necessary as a result of the serious illness suffered by the Superior of the Egyptian Church, Antonios Cardinal Naguib, the Patriarch of Alexandria. The Catholic-Coptic Church in union with Rome belongs to the most important eastern Church and stands particularly in the lamplight owing to how it stood throughout the Islamicization in Egypt. Patriarch Naguib was ever a decisive voice for the Christians on the Nile, till recently just before the outbreak of the "Arab Revolution", which he then greeted, but because of the advances of radical and extremist Islamist groups began to observe with increasing skepticism. The Coptic-Catholic Church Bishops decided, to appoint a vicar in the place of the Patriarch, who is to support him in his work. This is so that the Church leadership can be maintained, despite the illness of the Cardinal. As a representative, the Bishop Kyrillos Kamal William Samaan, Bishop of Assiut was appointed. The 65 year old Church leader belongs to the Franciscan Order. Bishop Samaan is to undertake the leadership complete breadth of the Church leadership for the Coptic-Catholic Church in accordance with canon law, if not also the title. Canon 132 of Canon Law for the East hand over to the Vicar complete rights and duties, even if it doesn't confer the title of a Patriarch. The serious illness of Patriarch Naguib represents for Egypt's Christians a serious blow. The Coptic Catholics are in comparison to the numerous and much larger Coptic Orthodox, only a tiny community, about 0.25 percent [About 163,630 according to Wiki] of the Egyptian population. On the international level they are in any case an important voice for all of Egypt's Coptic Egyptians. Through the universality of the Catholic Church, they can also provide for the almost 10 million Orthodox Coptic members. The Copts of Egypt, who are the actual descendants of the antique Egyptians and had lived in Egypt centuries before when Christians had made it bloom, are experiencing in recent times yet again a strong anti-Christian persecution by today's dominant Islam. In his first address Bishop Samaan called upon the Copts, to pray for a speedy recovery of Cardinal Naguib and continue on the path prepared by the Patriarch to seek "dialog for our beloved Egypt". "We are ready to dialog", said the new Vicar of the Patriarch in the direction of the other religious and political powers of Egypt. Bishop Samaan was born in Shanaynah in the vicinity of Assiut. He studied in the beginning of the 80s at a Papal University in Rome. In 1990 he was consecrated Bishop, and took an active part in the Christian-Islamic dialog. Since November 011 he belonged to the Council of Eastern Churches. Patriarch Naguib can not, because of his stricken health, take part in the Consistorium, that Pope Benedict XVI. had called for this weekend. The Egyptian Cardinal is valued as a highly esteemed member of the "Senate of the Church", whose voice has especial weight on matters of the Oriental Christians. The 77 year old Cardinal was elected as the Patriarch of Alexandria in a 2010 Synod of Coptic Bishops. 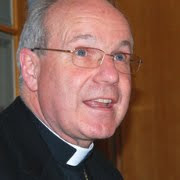 In October 2010 he was the General Commentator on the Synod for the Near East. 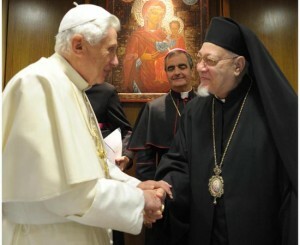 Shortly after, Pope Benedict XVI raised him to the rank of Cardinal on the 20th of November 2010, where he is at present the only representative in Rome of Oriental uniate Churches. A Parliamentary committee desires to attempt the expulsion of eight Coptic Families from their home village Sharbat near Alexandria. Frankfurt-Cairo (kath.net/KAP) The Egyptian Parliament has, according to reports by the human rights organization IGFM, a fact finding committee is prepared to expel Coptic Christians. AS the International Community for Human Rights explained on Thursday, the Parliamentary Committee has proposed the explusion of eight Coptic families from their home village Sharbat near Alexandria. The families have received the notice that they will be forced to leave their homes by the police and the village elders, since their safety can longer be guaranteed anymore. For months encroachments against the Christian minority have increased in this Muslim land. According to IGMF, the proposed investigation has particular importance, because it anticipates also the future Parliament's conduct in its orientation regarding conflicts between religions. Austria this afternoon the Viennese Cardinal Christoph Count von Schönborn, together with the Coptic Bishop Gabriel, demonstrated for the persecuted Christians in Egypt. The participants gathered in front of Vienna's National Opera House and processed to Vienna's famous Gothic Cathedral, der Stepensdom. 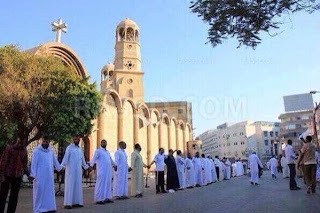 An ecumenical recollection took place there for the 27 Copts who were shot or run over by armored vehicles on the 9th of October during a peaceful demonstration in Cairo. For the lives of the unborn, the Cardinal has still yet to take to the streets. Edit: the drivers of these vehicles look pretty determined to run people over. There are thirty nine dead so far. Remember when the secular media was excited about the so-called Arab Spring? It shouldn't take an expert in Middle Eastern Affairs to know what happens in the wake of an Arab Revolt. The passions run high and so even the Army and the government can't resist joining in. Here's an excerpt of an eyewitness narrative of the events so far. The march started down Shubra Street around 4 pm, past its muddle of old apartment buildings, beat up and sad but still graceful compared with the constructions from the Mubarak era next to them - brutish and unfinished-looking. A man explained why there were bigger numbers than the march last week in response to the attack on the St. George’s Church in Aswan: the army had hit a priest while violently dispersing Coptic protesters in front of the Maspiro state TV building on Wednesday. A video posted online showed a young man being brutally assaulted by army soldiers and riot police. [AlMasryAlYoum] Sectarian clashes between a number of Muslims and Coptic Christians resurfaced in the Fateh district of Shubra al-Kheima on Monday, after two Muslims were shot and killed by a Copt on Sunday. Security forces surrounded the area, imposed a security cordon around churches in the area and arrested seven Muslims and Copts carrying weapons. In a confrontation, one police officer was shot in the foot. A security official told Al-Masry Al-Youm that a number of Muslims went to the Shubra al-Khaima Church on Monday after learning that the killer was hiding there. Clashes erupted and gunfire was exchanged. The official went on to say that the police imposed a security cordon around the area and arrested four Copts and three Muslims who had a machine gun, five pistols and 235 bullets in their possession. Editor: while NPR and various news organs like the Crescent News Network and the Obama administration were celebrating the Arab Revolt, many others who were more aware of previous Arab uprisings were not so enthusiastic. As the Coptic Pope has aligned himself against the Egyptian Pseudo-Revolution, all had joined the uproar about him. Now no one is apologizing to the man. In Egypt, the tensions between Muslims and Christians are growing day to day. This was from the website 'unzensuriert.at' on March 13th. After the fall of the old President, General Hosni Mubarak, the Egyptian Generals are concerned about power, not for the religious freedom of the Christians. Their disposition has intensified the unrest tremendously. Recently, soldiers have fired on monks. In the last days there have been violent confrontations. 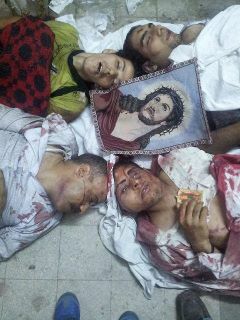 In Cairo thirteen people were killed and over 100 wounded when Copts were attacked at a sit down strike. The reason for the strike: Muslims had destroyed homes of Christians and the Coptic Church of St. Mina and George in the distant village of Soul Atfif. The soldiers who were called up for this fired upon the Christians and not the aggressing Moslems. "From the Arabian upraising against despots there has arisen an Arab uprising of hate against religious minorities" - maintains the Free Assemblywoman of the Austrian National Parliament, Dr. Susanne Winter. What is of particular concern for Frau Winter is the roll that the military government, supported by the USA, which fired on the Christian minority. On the other side members of the Islamic underground organization "Islamic Jihad" have been set loose, who had assassinated the President Anwar el Sadat in 1981. 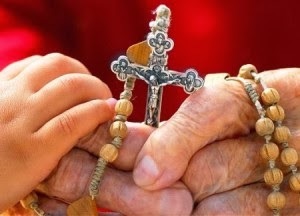 "It is all too understandable that many Copts have little euphiria for the future after the collapse of the government in Egypt because of this religious unrest -- said Frau Winter. The provisional government has made no signals about religious freedom, rather they have fanned the distrust and conflicts beetween Christians and Muslims. On the supposed "way to Democracy" in Egypt, the rights of all religious minorities must be recognized. And in a related story, thousands of Africans are leaving Islam. Who can blame them, when things like these church burnings which happened recently in Ethiopia, happen? We'd reported on the death of a Coptic Priest who recently died from multiple stab wounds last month on the twenty third, well, here's the video documenting the related attack on the Bishoy Monastery walls. These people have a sense for patience and hope as they sang Kyrie Eleison as Egyptian Army APCs battered down the protective wall surrounding their Monastery. Not only unprotected, but also actively persecuted by the military: Coptic Christians in Egypt -- Soldiers shoot monks and priests. Dusseldorf-Cairo (kath.net/KAP) Further attacks on Coptic Christians in Egypt: The Coptic Orthodox Bishop for Germany, Anba Damian, complained this Thursday to the 'Westphalian Hoxter' of attacks by soldiers against the Anba--Bishoy-Cloister in Wadi El Natrun. There this Wednesday a monk was shot and another was abducted. Some collaborators with the Monastery have been severely wounded, said the Bishop. Still more, this Tuesday the body of a Coptic Priest was found with 22 knife wounds. The "Society for Threatened People" also participated this Thursday, saying that more than a thousand Copts had demonstrated against new attacks against Monasteries. The participants protested against the destruction of the protective fences around the Monastery by the Army, at which more Copts were severely injured. The protests were directed otherwise against the murder of David Boutros. The body of the priest was found on Tuesday in this home in the village of Schatb near the city of Asyut. Boutros was, according to reports in the interim, already murdered at some time this weekend with 22 knife wounds in the neck, back and stomach. Damian accused the Egyptian Army of not protecting the Monastery from plundering and even hindering the efforts of the Monks in defending themselves. "The unarmed Monks and workers of my home Monastery Anba-Bishoy in Wadi El Natrun were fired upon with much hate and still more anger," declared Damian. According to the testimony of the Bishop the Army stopped the Monks from building a defensive wall around the Monastery, as the security forces withdrew and while a thousand prisoners were released from the jails in Wadi El Natrun. On Wednesday the Army returned with four bulldozers and destroyed the wall again. Just as this was happening, the soldiers fired on the Monastery with machine pistols. And yet there's not much "danger" to these uprisings says Vatican "expert".